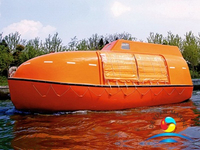 The material of partially enclosed lifeboat is Fiber Reinforce Plastic , the capacity is from 20person up to 150person , there are 2 types, one is Common type , another is Fire-protection type .Normally , the SOLAS Partially Enclosed Lifeboat is used on cruise ships, ferry, and Passenger Ferry, it can be raised and loaded by gravity luffing arm type davit. 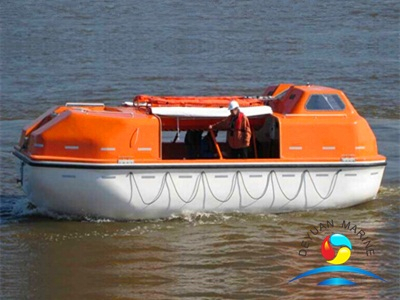 It is suitable in worse sea condition, for example the ocean boat, it is highly Fire-Resistant. The 20 person Capacity Lifeboat can driven by Outboard Engine and Inboard Engine, it is powered by a compression ignite engine with fuel having a flash point of 43℃ or more ,the speed proceeding ahead when fully loaded in calm water is not less than 6 Knots and at least 2 knots when towing a fully loaded max. persons life raft. The reduction gearbox is also provided.This SOLAS Davit-launched Lifeboat can be used in the severe condition, and can be used to rescue as well as lifesaving. It can self-righting by itself when capsized. 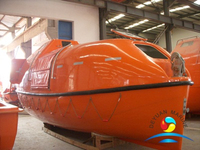 Deyuan Marine is specialized in manufacturing and exporting marine equipments . To guarantee good quality, we follow ISO9000 standards to inspect our goods. 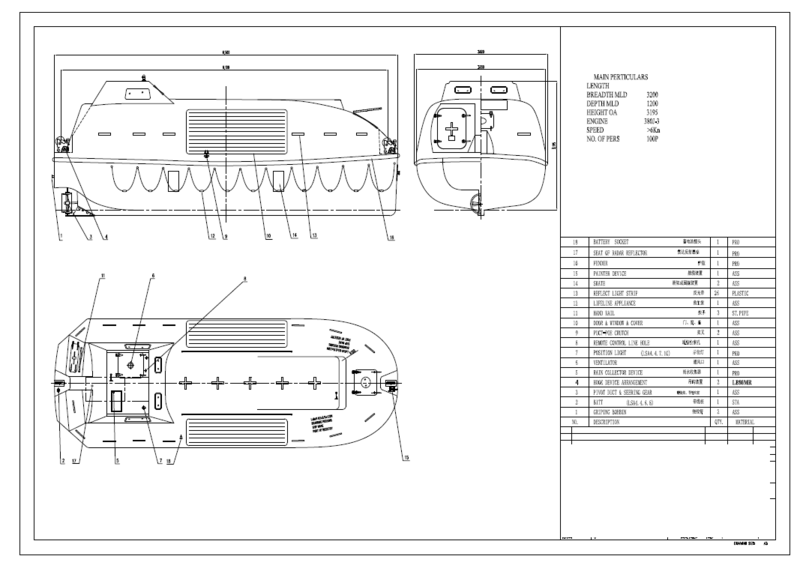 From raw material purchase to pre-shipment inspection, we keep an eye on every step to ensure the satisfaction of our customer on quality , Our SOLAS Partially Enclosed Davit Lifeboat are approved by ABS, BV, CCS, DNV, EC, GL, KR, LR, NK and RINA. 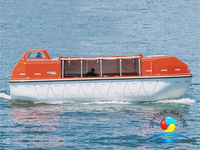 We can also meet your special requirement about the all type Lifeboat, In order to expand our products into more Market,we wish to seek cooperation possibilities with you.I am sure our business dealings will develop quickly and productivity.